Superior lawn, tree, and shrub care with weed, disease, and insect control. Our lawn care services are designed to provide long-term care for your lawn, keeping it healthy and pest-free in our unique southern climate. Different turfs are susceptible to different types of disease or insects. When choosing which lawn care company to work with, make sure you choose one who has a deep understanding of different species of turfs and how to address your lawn’s unique needs. Nature’s Turf can offer that! Nature’s Turf is thrilled to offer total lawn care services in Fayetteville, GA which are all backed by a satisfaction guarantee! There’s no need to make a long-term commitment or sign any contracts, so you can experience superior lawn care services on your terms. Our family-owned business has been serving the Fayetteville community since 1977 with grass care, insect control, weed eradication, and more. Call now to learn more about how Nature’s Own can give you the beautiful lawn you’ve always dreamed of. 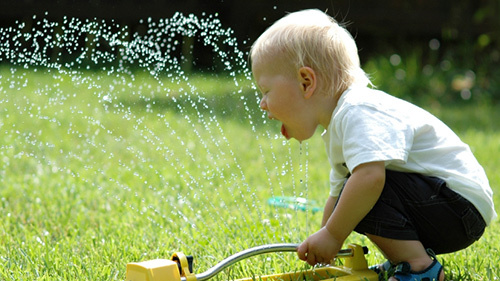 For your lawn to reach its full potential, you need the experts at Nature’s Turf. We will go above and beyond to make sure that your grass is green, lush and healthy. With a customized approach to lawn care, we create a special plan of action based on what your lawn needs, your budget, and your desire for your yard. Because we consider your lawn to be our customer as much as you, we will give it the attention and unique care that it requires to make your grass thrive as part of our Fayetteville lawn care services. It takes a lot of time and energy to maintain the health and appearance of the trees and shrubs in your lawn. This is especially true in our neck of the woods where pests and disease so often can affect the health of the trees and shrubs in your yard. Luckily for you, our Fayetteville tree and shrub experts can handle complete maintenance that these plants require so that you don’t have to worry about it. Call us for all of your shrub and tree care needs in Fayetteville or the surrounding areas. Whether you are dealing with fire ants in your yard or grubs in your grass, when it comes to insect control, there is no need to worry. With the professionals at Nature’s Turf on your side, you can be sure that you will not have to fret about these lawn pests for much longer. We know precisely how to rid your yard of all the unwanted pests that may be causing it harm by using products that will not ruin your grass, trees, or shrubs. Having your lawn aerated means small soil plugs removed from your yard to help fight soil compaction which can lead to a lack of air circulation in the soil, essentially suffocating your grass. If there is a buildup of thatch in your yard that is preventing the grass from thriving properly, this can help to improve the air exchange between the soil and the atmosphere and give the grass better access to what it needs to survive and grow. Experience a renewed yard by calling on Nature’s Turf to perform lawn aeration in Fayetteville, GA.
Mosquitoes in our southern climate are extremely resilient pests. Not only can they ruin your outdoor experience when trying to enjoy your backyard, but they also carry certain diseases that can harm you and your family. Our mosquito control services in Fayetteville will eradicate existing mosquito infestations and eliminate their breeding grounds to prevent future uprisings. Enjoy spending time outside of your home when you allow us to treat your lawn for mosquitoes and other pests.